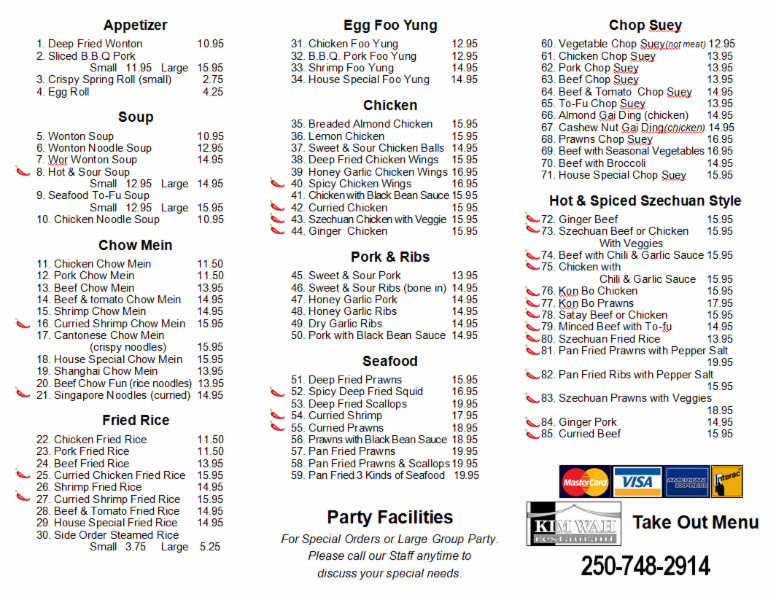 Our Chinese smorgasbord is full of your favourite dishes such as chow mein, chop suey and much more. Stop by to dine in or place an order for pickup today. 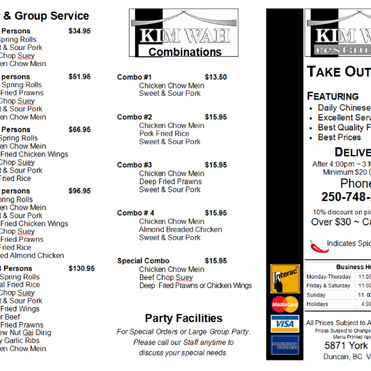 When you’re looking for a delicious meal of fried rice, chow mein and other Chinese cuisine, you need to place an order with Kim Wah Restaurant. 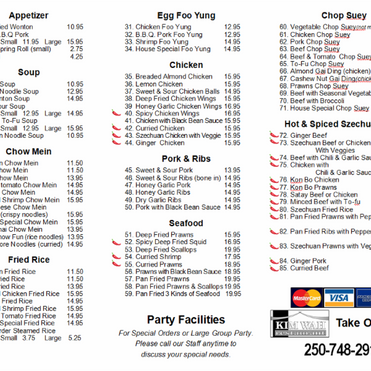 Offering dine in, pickup and delivery options, you won’t find better Chinese food in Duncan. Our full smorgasbord of Chinese dishes is perfectly complemented by our excellent service and our licensed, family-oriented premises. Our menu has a little something for everyone. Start your meal with our tasty appetizers, and then order a single dish or a full meal for your family—we have options for 2 to 8 persons. We also have party facilities for when you’re hosting an event or large group party. Our staff can discuss reservation needs and special order requirements. 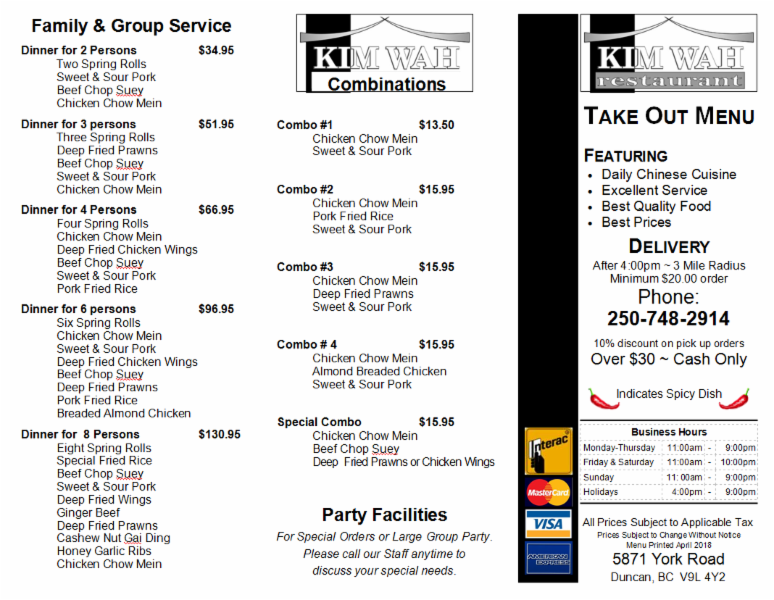 We deliver within a 3 mile radius of our restaurant, and a $20.00 minimum purchase is required. Be sure to stop by for a dine-in meal or place an order for pickup or delivery!